Quick update. Mom fell without warning while finishing shower yesterday evening. Dad was with her. Unlike the last time this happened he was unable to get her out of the shower so when the paramedics came they actually removed the shower doors to get her out. I was on my way back from Phoenix where I'd had a great day with a team who go to the mosque in Tempe to share Jesus with the Muslims who attend. I met my parents at the ER in Cottonwood. The staff were kind and efficient and there didn't seem to be many people waiting to be seen. We also had a total of 8 brothers and sisters in Jesus who came to be with us. Two of the medical staff caring for Mom turned out to be Christian also. She witnessed Jesus boldly. Praise The Lord. They used a portable X-ray machine to see that her right leg is broken: the big bone in her calf. They put a temporary splint on with no need to set the bone or do surgery. She will need a follow up appt to get a full cast. 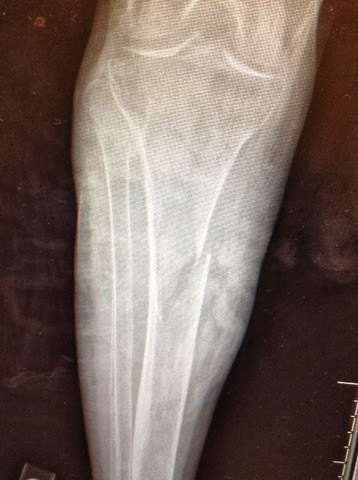 The ER doc thinks her leg will heal. She is temporarily on a catheter too. And she got an rx for percoset. She was discharged from the ER and we are all back home now. We really don't know yet how it's going to work to get her from cot to toilet but we'll find out soon. John 8:28 So Jesus said to them, “When you have lifted up the Son of Man, then you will know that I am he, and that I do nothing on my own authority, but speak just as the Father taught me. John 10:7 So Jesus again said to them, “Truly, truly, I say to you, I am the door of the sheep. John 18:5 They answered him, “Jesus of Nazareth.” Jesus said to them, “I am he.” Judas, who betrayed him, was standing with them. John 18:6 When Jesus said to them, “I am he,” they drew back and fell to the ground. Behind the Veils of Yemen is a true account by a missionary wife and mother of her family's work as missionaries in Yemen. Audra Shelby (a pseudonym) gives us unvarnished insight into the lives, struggles, joys, and prayers of missionary families, as well as the Islamic families they labor to reach. Before they even reached Yemen, her husband nearly died of a freak illness. A daughter had an epileptic seizure in Yemen, and a pregnancy nearly ended tragically. The Yemeni women, behind their veils, are much the same as women everywhere: wanting to look beautiful, looking for love, struggling with family relationships. Mrs. Shelby shows us how God worked in her heart, growing her in her own faith in Jesus, in the middle of her attempts to help Muslim women see their need for Jesus. It is similar to Which None Can Shut, which I reviewed recently, in that both were written by missionary wives about their work in the Arabian peninsula. But this one is more descriptive and includes fewer stories of obvious success. Which None Can Shut will show you how God is changing Muslims. Behind the Veils of Yemen will show you how God changes missionaries. Both will stir you to pray for -- and hopefully, to take the gospel to -- Muslim people in the neglected places of the world. I read the Kindle version of the book. If you'd like to borrow my copy for free, let me know. Here's a video interview with Mrs. Shelby. My father recently sent me links to two different YouTube videos. Both are appalling examples of the decline of American culture. But which one is more fundamentally evil? Your answer to that question will determine, to some extent, how you think the problems in our culture should be fixed. I love singing the Psalms. I normally use the modern psalter, The Book of Psalms for Worship. But even this antiquated version of Psalm 146 is beautiful. Here are several video versions to choose from. Becky Morecraft Sings "Hallelujah Praise Jehovah" from Vision Forum on Vimeo. Islam's birthplace, the Arabian peninsula, has been a spiritually dark place for centuries. Today religious police carefully "protect" their people from worshiping the Jesus of the Bible. But despite the incredible legal and societal pressure to remain "safe" in Islam, Muslims are hearing and responding to the gospel. 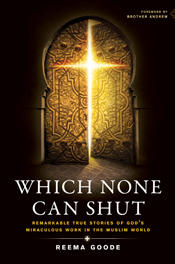 If you've ever thought it futile to give the message of the Bible to a Muslim, Reema Goode's book Which None Can Shut will encourage you that Jesus is still drawing people to Himself, even people on the Arabian peninsula. I've read or heard some stories of Muslims converting to Christianity that struck me as cheesy. Did they really embrace Jesus because they were convicted of their need for righteousness, reconciliation, forgiveness, and atonement, or simply as a way to rebel against the dominant Muslim culture? Did they think Jesus would make their life on earth better or did they treasure Him in spite of the promised pain that Christians will face in this life? Did they truly abandon Islam or try to "have the best of both worlds"? Which None Can Shut is a breath of fresh air: the gospel is more central, more distinct, and more accurate. The book is collection of true stories from the ministry of the Goode family in the Arabian peninsula. It's a fast read, and hard to put down. It's not a "how to witness to Muslims" book, but it is a "here's why you should". You'll be encouraged to share the gospel more often with Muslims--and your neighbors. You'll also pray more when you see what an impact prayers are having on the Muslim world. If you have a Kindle, I can "loan" you my copy for free. Here's a video of Mrs. Goode (with face and voice disguised) sharing the story of a Muslim man who became a Christian. The story is given in more detail in the book.